Pop star Teta Diana who has been staying in Brussels for the last three years was back home last week when she revealed that she missed doing her day to day errands on a motor bike transport. The vocalist touched down at Kanombe international airport ahead of Kigali Jazz Junction slated to take place on 29th this month, where she will perform alongside France’s Medhy Custos. Teta talked about what she missed about Rwanda and promised a great performance. “Let me tell you, I really missed a motor bike life where you grab a bike and quickly get to your destination. My fans shouldn’t miss my show because I got lots of surprises for them musically,” she said. Motor cycle transportation is the easiest, cheapest, common and quickest around Kigali city especially for people who don’t own cars. Teta Diana started her music career by singing live Cecile Kayirebwa’s songs in weddings in 2012. She later on joined Tusker Project Fame where she polished her music career. All stars hit song Fata Fata gave a thriving music career to Teta Diana and since then she has been releasing solo songs. 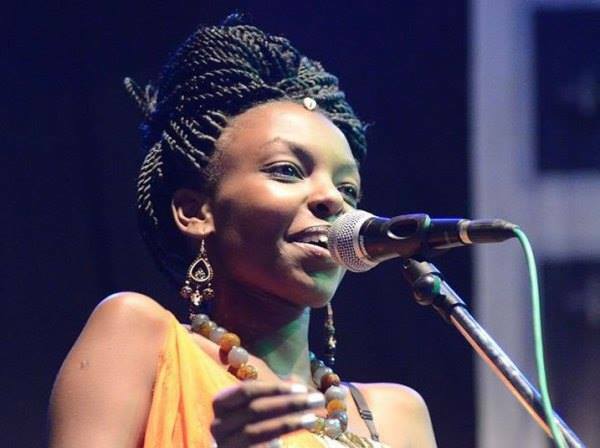 Currently she plans to drop a new album before going back to Belgium which features her new song dubbed Iwanyu.